A clearly-defined strategy for combating workers’ compensation claimant fraud is essential for employers wanting to avoid the frustration of wasting dollars on investigations that go nowhere. A substantial amount of anecdotal evidence exists suggesting that investigations will fail without reliable criteria for when to hire investigators, how surveillance should be conducted and whether to submit cases for prosecution, experts said. A tactical strategy for pursuing suspected fraud, in contrast, increases the focus on cases truly meriting the assignment of resources while avoiding squandering them on faulty procedures. The reasons fraud investigations fail vary, observers said. An employer’s hunch can prove wrong. The worker may be malingering or engaging in behaviors that don’t meet a legal definition of fraud. Or investigators bungle inquiries. Shaddi Kamiabipour, senior deputy district attorney in the Orange County, California District Attorney’s Insurance Fraud Unit, said most workers’ comp claimant fraud cases referred to her office for prosecution fail because they “weren’t good referrals.” Investigators neglect to ask basic questions to establish the worker committed a crime by lying. Mario Pecoraro, president and CEO, Alliance Worldwide Investigative Group Inc. The ultimate goal of employers choosing to investigate claims may not be criminal prosecution, however. Many investigate to stop the undeserved payment of disability claims, without pursuing criminal prosecution. But challenges exist for those wanting to prosecute even when investigation surveillance successfully produces evidence of wrongdoing, said Mario Pecoraro, president and CEO at Alliance Worldwide Investigative Group Inc. Regardless of the reason, wasteful investigations cost employers whether they’re insured or self-insured. Yet employers are on their own to develop successful investigation strategies based on their corporate culture, messaging they want delivered to their workforce and budget priorities, among other factors. Industry guidelines on conducting investigations and what defines good outcomes are lacking, said Garrett McGinn, partner and director of research and development at DigiStream Investigations. “The problem is, overall, the industry needs to come up with quantifiable metrics as to what is a good investigation, what is a good case outcome, and come to an agreement as to what are the standardized referral criteria for investigations,” he said. The investigations industry is not even clear on what workers’ comp fraud costs employers nationwide. Reports frequently credit the National Insurance Crime Bureau for estimating that workers’ comp fraud generates anywhere from $8 billion to tens of billions of dollars in annual losses. But NICB doesn’t track that number, according to its spokesman. “It’s anybody’s guess what fraud numbers actually are,” he said. No question though, claimant fraud can be costly and even a rampant problem for individual employers. One client with manufacturing and warehouse workers, for example, asked investigators to help stem a widespread abuse and fraud problem, McGinn said. To change the workplace culture, investigators made their presence obvious by recreating and photographing every lost-time claim accident. They talked to supervisors about each of those incidents. It sent the message that the employer would no longer tolerate the abuse. “That cut their claims frequency in half within nine months,” McGinn said. “Employers who have an out-of-control fraud problem really don’t have a choice” but to engage in a strategy of “increasing the perception of detection,” he elaborated. Some employers, particularly self-insured entities, will “draw a line in the sand,” by pursuing fraud prosecutions even knowing they will not prevail in court, said Barry D. Bloom, principal, The bdb Group. They want to send a message that they will not tolerate workers’ comp shenanigans. Other employers estimate that for them, claimant fraud occurs in such a tiny percentage of cases that they prefer altogether avoiding the frictional expenses generated by investigating any claims. But for employers wanting to successfully combat even single incidences of fraud, tactically developing threshold criteria for which cases to investigate and how to investigate them helps ensure the outcome is worth the cost, McGinn explained. Start, for example, by weighing broad financial considerations, such as deciding to investigate only lost-time claims, McGinn advised. Comparing claims exposure levels to your investigative budget might lead to foregoing some investigations. In addition to meeting a certain financial threshold, look for red flags like recent disciplinary action, rumors of layoffs, sick-leave abuse or a negative performance review. Such tactics allow directing more resources to fewer cases, which is often beneficial, McGinn said. DigiStream claims data reveals, for example, that surveillance conducted over five days is 20 percent more productive — based on minutes of video evidence obtained per day of surveillance — than claims conducted over two days, McGinn said. “But most adjusters, risk managers and work comp coordinators are ordering only two days,” he said. The efficacy of investigations is further diluted when claims payers divide the two days of surveillance requested into four half days or smaller timeframes. Their “spread betting” leads to paying more for less productive results, McGinn said. Combining other investigative tactics, such as reviewing social media, before conducting surveillance, also increases an investigation’s efficacy, sources said. Neglecting to review available information before ordering surveillance can be wasteful, said Mario Pecoraro at Alliance Worldwide Investigative Group. An “advocacy movement” spreading among workers’ comp payers could address some investigation challenges claims payers currently experience, Pecoraro added. Some advocacy proponents espouse questioning fewer claims and quickly compensating them to allow paying greater attention to truly difficult cases. Claims payers need to exercise caution, however, and not go too far in eliminating practices for discouraging fraud, sources said. But advocacy could also help employers because once prosecutors learn that practicing employers go above and beyond to treat their injured workers fairly, and they refer only egregious cases, prosecutors may be increasingly willing to pursue cases, Pecoraro said. “It’s going to shift and help with prosecution,” he said. 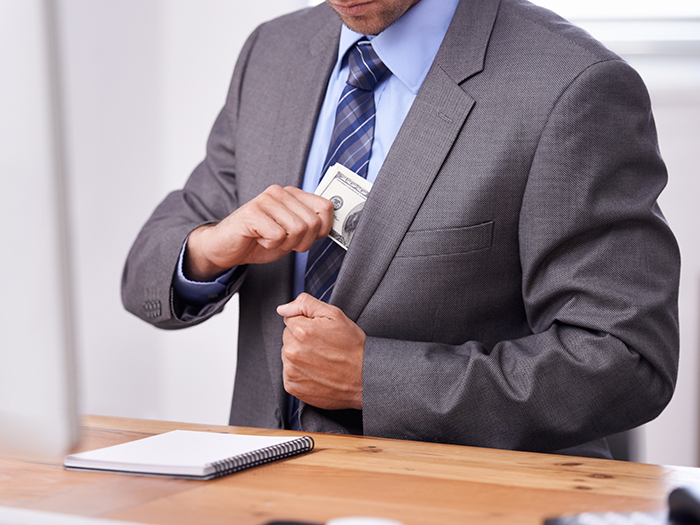 This article is part of a three-part series on The Changing Landscape of Workers’ Comp Fraud. Why Physician Fraud Rings Are a Major Workers’ Comp Issue And What You Can Do About Them explores the perils of provider fraud and the changing landscape of the obstacles investigators face. Employer Premium Fraud Is Hurting Everyone — Including Honest Businesses addresses the various types of premium fraud, and why insurers are reluctant to investigate most offenders. Why Are You Wasting Money on Pointless Workers’ Comp Claim Investigations? dives into the need for industry-wide investigative standards and how the trend toward worker advocacy is impacting the way employers approach worker fraud.